You quickly realize in Iceland, that if men and women take the time to dress up (not in jeans) to head to the bars for the Runtur when it's cold outside, then obviously fashion is important to Icelanders. Shopping is incredibly expensive in Iceland, but it's worth shelling out the extra krona (ISK) for local designers' stuff...their creations are unique and fashion forward. RYK, owned by Kristin Kristjansdottir, off of Laugavegar in downtown Reykjavik is a store that I absolutely fell in love with and wanted to transport back to the U.S. Kristin is a designer who literally makes the clothes she sells in her own shop. She has beautiful tops, dresses, and cute jackets that range in price of about $60-$300USD. I got a tunic that can either be worn as a dress or paired with leggings. I can't say enough about her stuff...and the fact that her little Pomeranian keeps her company in the store while she's working...she's a woman after my own heart. 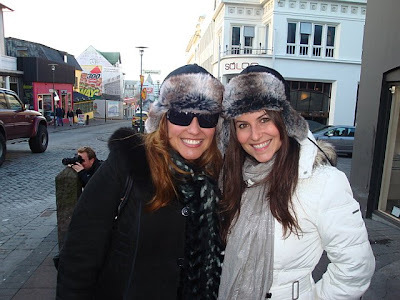 Another trip to Iceland for the weekend just to shop in Kristin's store would not be out of the question for me! She is working on getting her website up and running, but you can check out some of her awesome designs by clicking here, or email her at kristinryk@simnet.is Another store, which you'll see all over Iceland, is 66* North. Their slogan is "Keeping Iceland Warm since 1926," and they live up to their words. 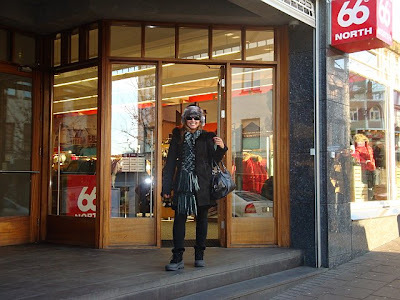 They carry hats, gloves, scarves, coats, etc., and you see people all over Iceland wearing their stuff. My friend Laura and I couldn't resist when we saw almost every woman walking around downtown Reykjavik in one of their furry hats. It cost about $70USD for one, but we both wore ours the entire trip, and know we'll get good use out of them in the wintertime in New York...so they were a good investment! 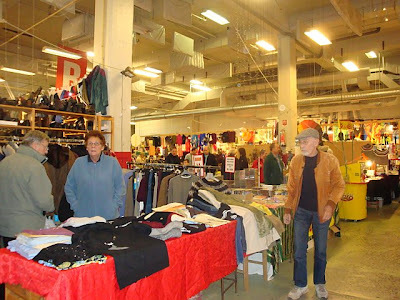 Now, if shelling out a lot of krona (ISK) for clothing is not your thing, then I suggest heading to Kolaportid Flea Market. It's a Reykjavik institution, open on Saturdays & Sundays (11am-5pm) where you can find second-hand clothing, Icelandic sweaters, antique jewelry, trinkets & art for the home, music, and food. I mention food, in particular, because this is the place where you can try hakarl- rotten shark. Sounds gross? It is! (Just take a look at my face!) It tastes and smells like ammonia. 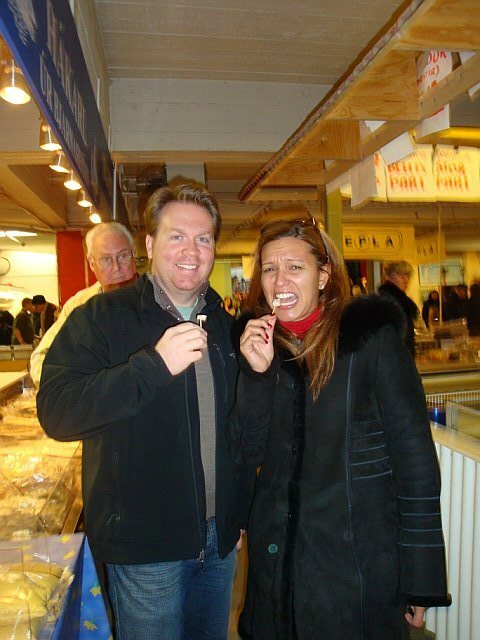 But, it's an Icelandic delicacy- which is usually eaten more as a right of passage (i.e. when you join a fraternity/sorority in college). 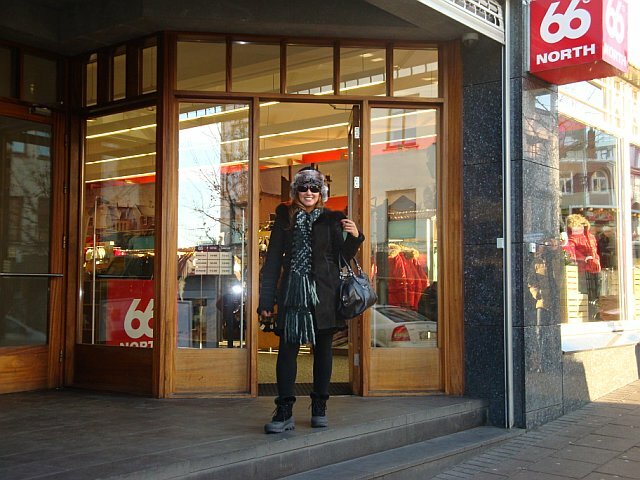 All in all, there's something for everyone when it comes to shopping in Iceland. Yes, it is still a fairly expensive country to visit, but the U.S. dollar is worth twice more there today than it was just three years ago...so if you can, jet set there soon. You will love Iceland!